The new season of Who Do You Think You Are? has arrived. We started with Martin Sheen, who was born Ramón Antonio Gerard Estévez, the son of a Spanish father and an Irish mother. Sheen has a long, well known history of political activism which was discussed in the voice-over at the beginning of the episode, cueing us to expect something connected to that in the research. It's impossible to tell from the episode itself whether Sheen actually sought correlations in his family research to that aspect of his life or the producers were fortunate to find good material to work with and could make the connection, but it worked well. We actually got three separate stories during this episode. The opening scene showed Sheen in Malibu with his son Emilio, talking about wine. There was a comment about a family history of winemaking, but nothing else was said about that during the show and the scene itself seemed forced and irrelevant. Then Sheen talked about what he knew of his family history. He said he knew more about his mother's side. She was born Mary Ann Phelan in Borrisokane, County Tiperrary. She died at the age of 48 in 1951, when Sheen was almost 11 years old. She had a brother named Michael who was said to have been a volunteer in the Irish Republican Army, but the family didn't know any details about him. Because of his involvement with the IRA and apparent willingness to fight for what he believed in, Sheen decided to focus on him first. Unfortunately, this early in the show, we got our first Ancestry plug. Sheen said he was going to "begin my search for Michael here on Ancestry.com." Geez, guys, can't you be a *little* subtle? Between that and the commercials during the episode, I felt like I was being hit with a sledgehammer. Anyway, Sheen typed in Michael Phelan and immediately found a death certificate for his uncle, who died in County Tipperary. (When I entered Phelan's name, I got more than 10,000 hits; none on the first page of 50 hits was the death certificate. I couldn't even find a database that had Irish or British death certificates.) And what was his next step? "I'll have to go to Ireland myself." So off he goes to Ireland -- not to County Tipperary, where the family was from and where Michael Phelan died, but to Dublin. Because he had been told Phelan was involved in the Irish Civil War, Sheen began his research at the Irish Military Archives at the Cathal Brugha Barracks. The pleasant young man in a military uniform who delivered documents wasn't identified, but Sheen was handed Phelan's 1934 pension application file. He marveled at the fact that it was all in Phelan's handwriting. Phelan said he was in continuous service from July 12, 1921 to June 30, 1922. The Irish Civil War began June 28, 1922, so he was a little ahead of the game; he was already part of the struggle for Irish freedom. Before Ireland and Northern Ireland were split, the entire island was under the control of Great Britain. Michael Collins, the famous Irish nationalist, fought for freedom for all of Ireland, but agreed to a compromise treaty that partitioned Northern Ireland and allowed it to become part of the United Kingdom and made the rest of Ireland "free" but part of the British Commonwealth. Many Irish people disagreed with this capitulation and felt betrayed. A letter in Phelan's file described how he had been captured and released by the Free State army several times, which meant that Phelan was against the treaty. Sheen was surprised to discover that his uncle had sided not with Collins and the compromise, but with those Irishmen who had maintained a stand for a truly free and independent Ireland. Sheen then visited another Dublin location, the Pearse Centre at the Ireland Institute for Historic and Cultural Studies, and spoke with Dr. Edward Madigan of the Centre for War Studies at Trinity College. They talked about how many IRA members continued the fight for true Irish independence after the treaty was signed. Phelan was a committed Republican and while in jail was still resisting the regime. He participated in organized disobedience and even helped burn one prison. Sheen appreciated his idealism and commitment to his cause and decided to visit one of the jails in which Phelan was incarcerated. 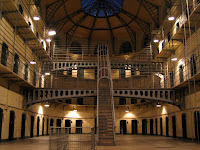 William Murphy of Mater Dei, Dublin City University, took him on a tour of Kilmainham Gaol (spelled Jail for American audiences), which he described as the most iconic prison of the revolution. The cells were small, and conditions would have been overcrowded. Sheen compared his uncle's stand to his own work for peace and social justice and said, "[y]ou do it because you cannot not do it and be who you are." He then announced, "This part of the journey is over," and said it was time to go to Spain. Sheen began research on the family of his father, Francisco Estévez Martinez, with a visit to his sister, who lives in Madrid. Similar to Rosie O'Donnell's brother, Carmen Estévez seemed to be the family historian, because she had lots of photos and remembered who was who in them. She showed a photo of their grandmother, Dolores Martínez, at the family's home in Parderrubias, and then one of their paternal uncle Matías Estévez, who had been arrested as a Communist during the Spanish Civil War. Matîas had been living in Galicia, where the Spanish Civil War began, and had fought against Francisco Franco's regime. She talked about how Matías used to walk by what is now a cultural center but what apparently used to be a prison and gloat how he had lived longer than the people who had imprisoned him. 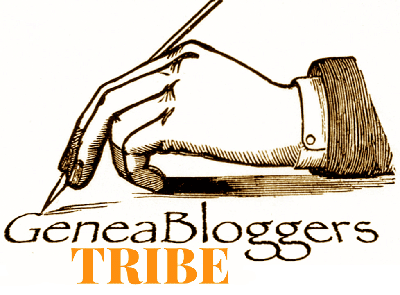 Sheen next went to the Biblioteca Nacional de España (National Library of Spain) and spoke with Alejandro Quiroga, a professor of Spanish history at Newcastle University. Quiroga had a book that he said was written by a pro-Franco priest and which was essentially propaganda, but it had an article that mentioned Matîas. The article described various things Matîas was said to have done and called him "El Rato" (the Mouse). The civil war began in July 1936, and Matîas apparently had made efforts to stop the coup d'état. He was arrested and charged with military rebellion by a military tribunal, even though Franco's group were not the legitimate government. The tribunal condemned Matías to life imprisonment. Quiroga then showed another book, Episodios de Terror ("Episodes of Terror") by Gonzalo Amoedo Lôpez and Roberto Mil Moure, which contained lists of prisoners held under Franco's regime. Many Estévezes appeared in the list, including Matîas, who was prisoner #611. Quiroga talked about how the prisons were designed to wear down the dissidents and break their wills. Matîas was sentenced on September 24, 1936 to a life sentence, but he served one year at San Simon and then three years at San Cristobal, near Pamplona. He was released in 1940 on some sort of house arrest. He was officially "freed" on August 21, 1966. 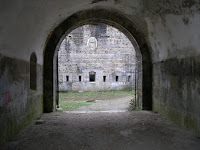 Sheen traveled to El Fuerte de San Cristóbal, the prison near Pamplona in which Matîas was incarcerated for three years. There he spoke with Dr. Julius Ruiz, a Spanish Civil War historian and a lecturer at the University of Edinburgh. 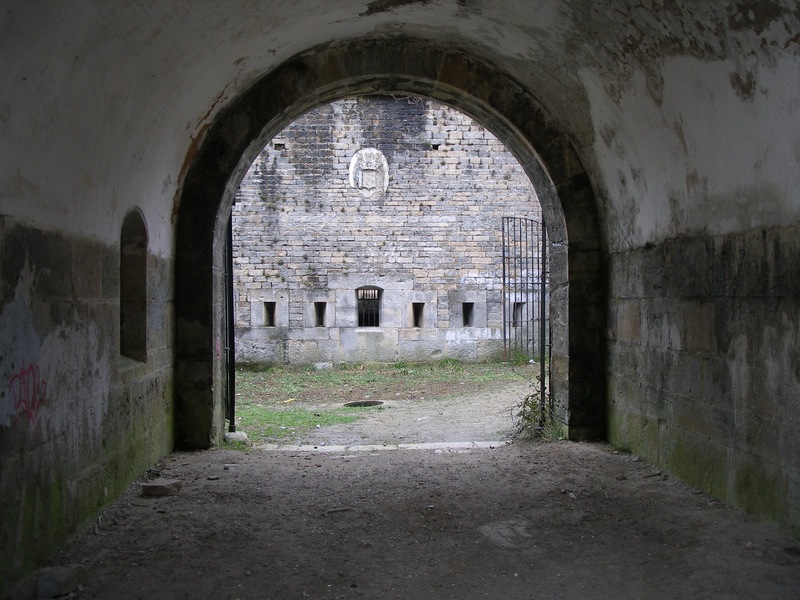 This was another decrepit monolothic prison, similar to what we saw in Dublin, and again the conditions were described as having been horrible, with between 25 and 50 men per cell and exposure to the elements. I have a small problem with these descriptions and the ways the prisons were filmed, because the buildings had to have deteriorated over the intervening years, 70 for San Cristobal and 90 for Kilmainham. I'm not saying that Michael Phelan or Matîas Estévez did not suffer through horrible experiences, but the buildings simply had to have been in better shape then. Sheen closed this segment by saying that the Fascists labeled Matîas as El Rato, but he was the mouse that roared, because he outlived the Fascists. The last research segment of this episode took Sheen to the Archivo Histôrico Diocesano (Diocesan Historical Archive) in Tui, Galicia. He brought with him a copy of his father's birth record, which he had gotten from his sister Carmen. In Tui he met with Matthew Hovious, a genealogist, who translated the birth record, which was written in Gallego, the native language of Galicia. Hovious researched both sides of Sheen's father's family and discovered that Sheen's fourth-great-grandfather on his grandmother's side, Don Diego Francisco Suárez, was married to one woman but had six children (including Sheen's third-great-grandmother) with a mistress, María Antonia Gonzalez. María apparently kept these children mostly out of the public eye until Don Diego died in 1774, because all six children were confirmed by a priest in September 1777. Sheen said she must have been an extraordinary woman and very loyal to Don Diego. Personally, I suspect that she was simply cowed and probably trapped in a relationship she didn't want, because Don Diego was the big man in town, as we were to learn. Hovious found a document that described how in 1748 Don Diego, who was the "ordinary judge" in town, issued an edict against Antonia Pereira (which to me seems to be a Portuguese name, but the Gallego and Portuguese languages are closely related), a single woman who had had an affair with a "privileged" member of the community. Hovious explained that in this context privileged usually meant the man was a member of the clergy, probably a priest. In spring of 1748 Antonia was known to be pregnant, and she went to a midwife; the language used implied that she had gone for an abortion. The upshot was that she was not being indicted for the affair or the pregnancy, but the abortion. Don Diego actually ordered wanted posters to be created. It was unclear in the segment whether Antonia was prosecuted or not; at one point the term "attempted prosecution" was used, while another time it was simply "prosecuted." Sheen mentioned how Don Diego seemed to be applying a double standard and that he was above the law (but the way I see it, if the crime was the abortion, he wasn't really using a double standard.) Then Hovious revealed that Antonia Pereira was actually the great-great-grandmother of Sheen's paternal grandfather. So 150 or so years after Don Diego scandalized and disgraced Antonia with his edict, their descendants were married, which really is an extraordinary coincidence. This wrapped up the research. Sheen met up with Carmen and his son Ramon in Parderrubias, where Francisco Estévez was born. He talked about his two uncles who had participated in their respective countries' civil wars and how they had each suffered ostracization by the community. I found ostracized to be an odd choice of words, given each man's circumstances. He discussed Don Diego and how he had been a big shot, and how he had prosecuted Antonia Pereira. He then surprised them with the revelation about Don Diego and Antonia both being their ancestors. It was hard to tell from Ramon's face if it was really a surprise, but Carmen certainly looked amazed. The research on this episode held up fairly well. Other than the slight discrepancy of whether Antonia Pereira was prosecuted, I didn't see any glaring inconsistencies. Hovious even went into some detail on the four generations he had gone back from Sheen's grandparents. With this first episode, I think I can claim one for one on my predictions so far. I said we'd go to Ireland for Sheen and brought up the possibility of Spain. I also figured we wouldn't see anything about Sheen's father's time in Cuba. "Kilmainham Gaol (spelled Jail for American audiences)"
But back to this post - well done on the predictions so far. I love how you include so many links in your post of all the various places and events discussed in the show. I always learn new stuff from your posts and often find myself on a "link-journey" through the internet learning more stuff. Thanks! One of the things I enjoy about genealogy is that it gives me the opportunity to learn more about the history of the locations I'm researching. I enjoy sharing that with others, and I'm glad you have fun with it. As for gaol versus jail, I noticed the spelling on the CG in the episode and was surprised it was spelled that way. When I looked for information on the location, I discovered it was indeed gaol. Yes, mourn for us Americans indeed. Remember, the movie "The Madness of King George" was originally called "The Madness of George III", but they renamed it for American audiences as they feared people would think it was third in a series and not go to see it because they hadn't seen the first two. "..Issued an edict against Antonia Pereira (which to me seems to be a Portuguese name, but the Gallego and Portuguese languages are closely related)".. Thanks for your comment. I have read the Wikipedia entry also. I recently commented on another person's blog (http://allofasuddenpartjew.wordpress.com/2012/02/05/the-hong-kong-language-problem-how-i-found-peace-with-my-university/#comments) on how distinctions between languages and dialects are often defined by reasons more political than linguistic. Martin's uncle, Mick Phelan, burned down Portlaoise prison. I was born across the road but not at the same time. I am always surprised at how connections are brought to light with programs like this.